In 2001 Roger decided to write a review of To Kill a Mockingbird, and he gave it 2 ½ stars. I totally disagree with Roger about the movie going “very easy on the realities of small-town Alabama in the 1930’s.” I think it presented a very realistic version of things that were going on in the South at that time. Almost all the white men in town turned out to lynch Tom. The white jurors voted Tom guilty even though they knew he was not. How is that going easy on the town? I think the movie showed very well the dystopian, totalitarian state that black people in 1932 Alabama had to live in. I understand that the movie portrayed a white savior who became the focus of the film. Glory (1989), Mississippi Burning (1988), Free State of Jones (2016), and Amistad (1997) are other movies that glorify a white hero coming to the rescue of downtrodden blacks. 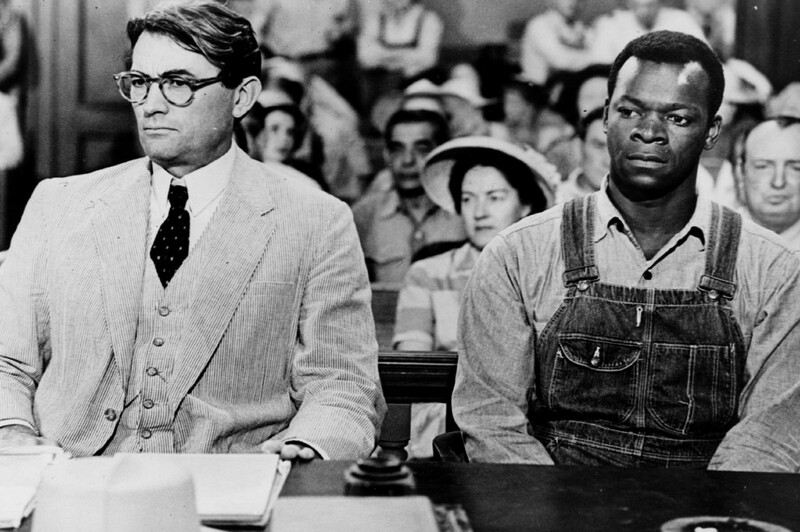 But I think the things Atticus Finch did in 1932 Alabama were heroic. He risked his reputation and his family’s place in the community by standing up for what he thought was right. I think the way he acted is the way a hero should act and he is a role model for all of us. I think Roger missed the point of this important movie. It was made in 1962 when George Wallace was elected governor of Alabama. In his 1963 inaugural address, he promised his white followers: “Segregation now! Segregation tomorrow! Segregation forever!” I think this movie was very timely and showed people up North that things hadn’t changed much for black people in the South since the period depicted in the film. 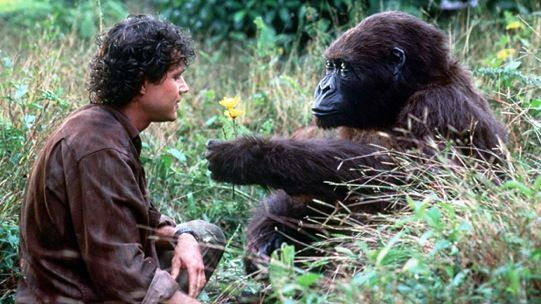 An influential and important movie that was made at the right time. The American Film Institute named Atticus Finch the greatest movie hero of the 20th century. The film is ranked twenty-fifth on the AFI’s list of the greatest American movies of all time and the British Film Institute included it in their list of the 50 films you should see by the age of 14. To Kill a Mockingbird has a 92% score with critics on Rotten Tomatoes and an 8.3 score on IMDB. I don’t really get how Roger feels that the movie portrays Alex as a hero or is asking us to identify with him. Alex is one of the most unsympathetic characters I have ever seen portrayed on the screen. I just don’t get how Roger felt that Kubrick in any way felt that we could identify with such a despicable character. 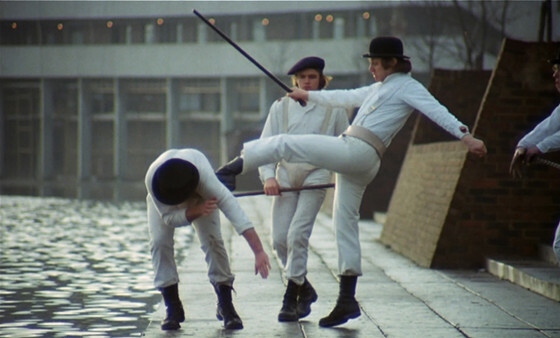 A Clockwork Orange is a disturbing movie, but it is also really well done and is not in any way “talky and boring.” To say that the movie glorifies violence is too miss the point. The violence is portrayed in an over the top horrific manner so as to frighten us at the possibility that such a world could ever coming about. A Clockwork Orange has an 89% score with critics on Rotten Tomatoes and an 8.3 score on IMDB. He goes on to say “I realize only a very particular kind of filmgoer is likely to relate to this movie: one raised on Saturday matinees, with a good sense of the absurd and an appreciation for movie clichés.” There might not be too many moviegoers left who fit that description. I think that Roger was seeing something in the movie that maybe wasn’t there? He seems to feel that it is so bad, that it has to be a comedy. Maybe, but IMDb lists the movie as an Action, Adventure and Mystery. But if it had worked as a comedy, I would have liked it. But for me the movie didn’t work on any level or as any genre. It wasn’t funny and it wasn’t suspenseful. We waited a long time to find out what the mystery was, and that wasn’t too interesting either. Congo has a 22% score with critics on Rotten Tomatoes and a 5.1 score on IMDB. Roger thought this was a pretty good movie giving it 2 ½ stars, but he was far from considering it a great movie. Sometimes movies do last too long. I’ve been at plenty where I’ve checked my watch to see how much longer a movie had to go, but that never happens with great movies. 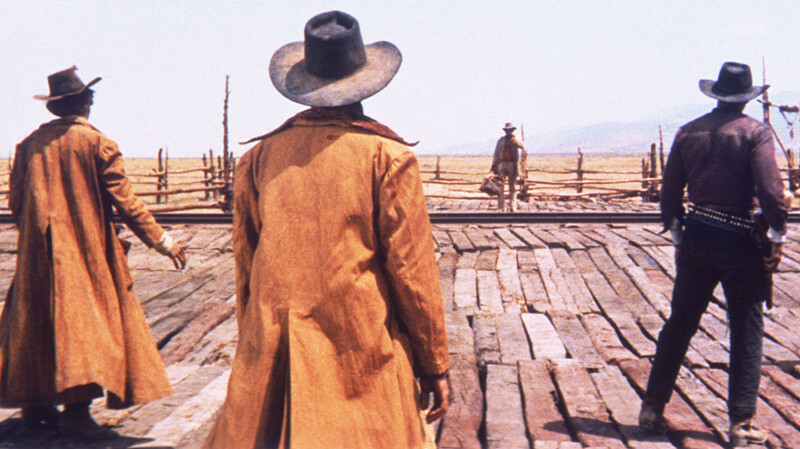 Sergio Leone does linger over every scene in this film, but the movie never drags. It is beautifully filmed and it has great style. The surprising thing about this spaghetti western, typically where style is more important than plot, is that there is a real good story that unfolds as the movie goes along. A great beginning and a great ending contribute to making this a great movie. On Rotten Tomatoes, there are fifty seven Fresh reviews for this film and only one Rotten: Roger’s. Once Upon a Time in the West has a 98% score with critics on Rotten Tomatoes and an 8.5 score on IMDB. I wasn’t going to include this movie for this article because Roger eventually did come around and add it to his Great Movie list, but the story of his conversion(?) is pretty interesting. Roger still doesn’t seem too enthusiastic about the plot, but he does admire the style and look of the film enough to add it to his Great Movies list. I still think Roger missed the boat on what I think is among the top two fiction movies ever made, and not just because of its style. 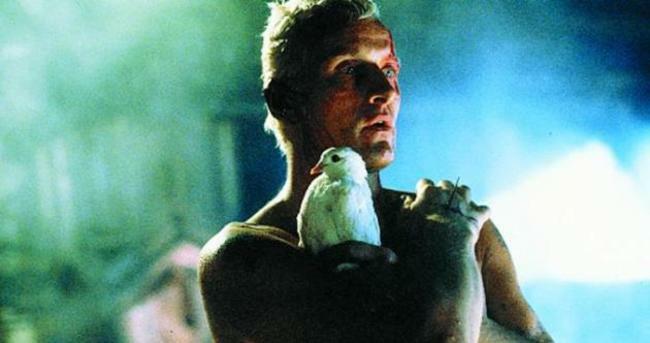 Blade Runner has a 90% score with critics on Rotten Tomatoes and an 8.2 score on IMDB.